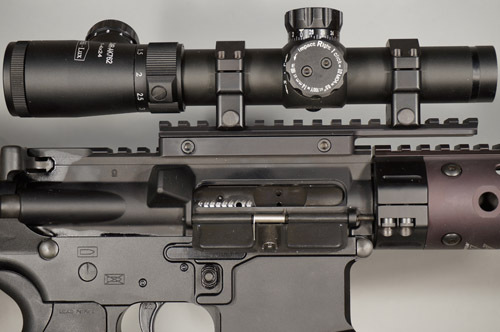 Angus Arms has serviced AR type rifles for two decades. Whether AR-15, AR-10, or one of the newer custom AR configurations, we can build you a properly designed gun. Or, help get your existing rifle working properly. We are experienced at troubleshooting a wide variety of problems including feeding and functioning issues. Pistol AR's, SBR's, and custom configurations can be difficult to get to work properly. We are experts at getting gas ports to behave, and at resolving other timing issues. While ARs are relatively easy to assemble, there are times when a professional touch is may be needed. We have the expertise, tooling and parts to solve your problem. Custom trigger installations and adjustment, barrel and/or forend replacement are common tasks we perform on a daily basis. Email us for a quote.